The design of this laptop is pretty much similar to the Alienware 15, it has a nice brush aluminum finish along with the angled edges and the classic Alienware logo. The logo and the two angled lines on the cover light up and you can completely customize their colors . The edges of the laptop are angled as well, like the typical Alienware gaming laptop design which makes it look better than any other gaming laptop. The laptop is pretty rigid and sturdy giving it extra brownie points for its built. Coming to the display, it has a pretty clear display and a really nice balance of colors, it gives a home theater feel, so I think it is predictable now that the laptop display is of premium quality. However, there is a visible difference between the Alienware 15 and Alienware 17 , the screen being a few inches larger does make it stand out when it comes to gameplay as well. The keyboard and the touch in this laptop have a premium look and I must say, the keys are nicely spaced making it really comfortable for gaming. I really liked the fact that you can customize the light on the keyboard and the touchpad making the laptop more quirky and fun. I mean the option to customize the colors and the touchpad glows up which is visually appealing. The touch is sensitive and a really good upgrade from the touchpad of Alienware 15, and far better than the Alienware 13. The touchpad is super soft, roomy and really accurate making and I like it even more than the touchpads in the other two versions of the Alienware laptops. I really liked the feel of the touchpad while gaming, however, most of us would go for a gaming mouse(I do),just saying. 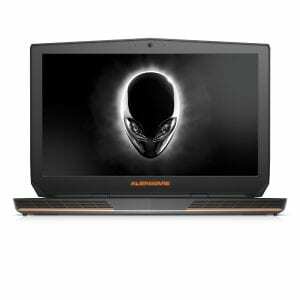 The gaming here is really awesome and a good gaming experience is expected from this laptop as you can easily get up to 70 fps on ultra settings and the graphics is pretty amazing and is slightly better than the Alienware 15. I really like the speed of the laptop and must say it is an addictive affair to play a game on this laptop. Moving on to the performance, this laptop really is one of the best high-speed performance gaming laptops as it does show a lot of agility and top notch performance compared to most of the other laptops in the competition. There is no competition to this laptop when it comes to gaming and with the additional graphics port available, it is much easier to get the gaming on a big screen monitor and experience a real gaming session. The speakers are way too good and pretty loud. I liked the speakers even in Alienware 15 .They have an impressive audio which is powered by Klipsch and Creative SoundBlaster X-Fi technology. According to me(I am an audiophile), I like the loud sound with bass and the go extremely loud during gameplay, it does have the best sound effects. The webcam is pretty good and did not have many complaints, so assuming they are as good as the Alienware 15 or even better. The Alienware 15 itself had a pretty good webcam and the way every feature is better on Alienware 17, so I’m counting on this feature as well. The laptop contains a lot of ports which include 9-in-1 Media Card Reader,USB Type-C,SuperSpeed USB 3.0 Ports,Alienware Graphics Amplifier Port,HDMI,Power/DC-in Jack, Noble Lock port,Headphone 1/8″ Port. The battery life is really impressive on this laptop, it goes for around 7-8 hours in case of normal browsing on the internet. However, during gameplay, it can go for about 4 hours but in the high graphics demanding games, it would go for about 2 hours max. The laptop does heat up even though it has exhaust fans, still it is not a deal breaker. However, there have been complaints about the laptop going hot which will happen anyway in the other laptops due to prolonged gaming.So, comparing with the other available gaming laptops the heating up of the keyboard is less. It does come with a year warranty including accidental damage(Retail). There is no doubt that Alienware has made another laptop which is a piece to drool on, it has got the perfect gamer needs and requirements and the battery life is something I really love about this laptop. If you are a full time gamer and really want your gaming needs to be met then this is a perfect laptop for you as it has all the pros that any gamer laptop should have and from the display to performance, it is a complete package. 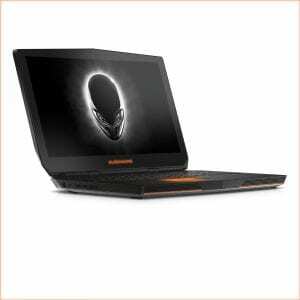 I really liked this version of Alienware laptop since it really gives a lot of importance to pro gamer needs and as well as the other features is an added advantage as you could use it for your office work as well. Looks like the Alienware 17 is a perfect all rounder here and one of the best gaming laptops I have reviewed. If you have nay further questions, leave them in the comment section below and I would be happy to help.